Located in the heart of Old Town Key West, our historic Key West bed and breakfast is just 1.5 blocks from world-famous Duval Street and just steps away from the Hemingway House Museum and the Southernmost Point of the continental U.S.A. Offering charming and romantic accommodations, The Conch House is the ideal location for your Key West tropical island inn escape. We are only minutes away from the Historic Seaport, best sight-seeing beaches, water sports and entertainment Key West has to offer, including the renowned Mallory Square sunset celebration. Constructed in the late 1800s, this Key West bed and breakfast is also a 21st century establishment. Pet-friendly, certified Green Lodging, and an all-natural breakfast, it’s a perfect retreat for great thinkers and lovers of life and high energy. Creating a calm and relaxing atmosphere that is welcome and open to all guests. It’s a great start to an ideal Key West vacation with an impeccable staff, perfect location, and affordable prices. 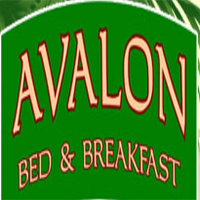 The Avalon is a 19 room Key West Hotel, located on the quieter end of historic Duval Street, just one block away from the Southernmost point in the continental USA and only steps away from the beach. This Key West Florida bed and breakfast is a lovingly restored Victorian house built in the late 1800’s and boasts high colonial style ceilings and rooms decorated with a tropical elegance and homey atmosphere. 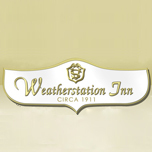 The Weatherstation Inn maintains the integrity of traditional Key West style. Located on the grounds of the old Navy Yard, in what is now the private upscale gated community of Truman Annex. With eight distinctively different guest rooms with tropical landscape surrounding the residence and private heated pool. Just outside Truman Annex gates a wanderer's paradise awaits you, including Duval Street or the charming lanes and alleys of Old Town. 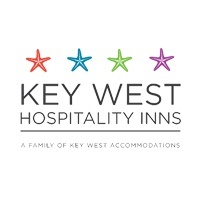 Key West Hospitality Inns is a family of Key West accommodations. Family-owned and operated since 2006, our properties suit a wide range of guests and families.Our four properties are meticulously maintained and located in the heart of historic Old Town Key West. Ideally located, our accommodations are within walking distance of countless restaurants, shops, art galleries, beaches, Mallory Square and mile-long Duval Street.Within our family of accommodations, we have four unique and distinct properties. 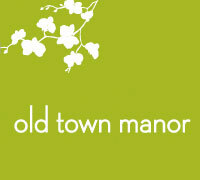 Whether you are seeking a quiet, romantic, secluded stay, or vacation rentals for a family retreat, we have you covered. Our properties include a tropical bed and breakfast on Duval Street, a cozy inn near the beach and Southernmost Point, a historic “Conch” house, and quaint vacation cottages and best site online casino österreich, and studio apartments. Located in Old Town key West, just steps off Duval Street, South Beach & Southernmost Point (yet totally discreet and private) our Key West vacation rentals are not hotels, but award-winning properties with outstanding Key West style architecture and amenities. We offer you only the finest true feeling of island living for your stay with us and hope you will enjoy all the history, personal attention and amenities we put into all of our properties. Whatever you desire, from our private homes, cottages and bungalows, we have the perfect places for you to enjoy vacationing in “paradise”. Decorated with colorful tropical furnishings, and many with classic sandblasted Dade County Pine walls, these historic and elegantly-restored vacation properties are fully-equipped and centrally located. 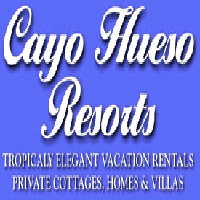 All of the CAYO HUESO RESORTS are convenient home bases for walking to famous Duval Street shopping, watersports, outdoor activities, great restaurants, famous nightlife and colorful galleries. Immerse yourself in the luxurious island lifestyle offered at The Gardens Hotel Key West. Our boutique hotel offers 20 uniquely decorated guestrooms, as well as impressive amenities such as a self-serve wine bar and outdoor heated pool—all just minutes from the best attractions in Key West. Combining old-style charm with progressive sensibilities, we remain an excellent place for all guests, including those interested in a hotel with green initiatives and in the LGBT community.